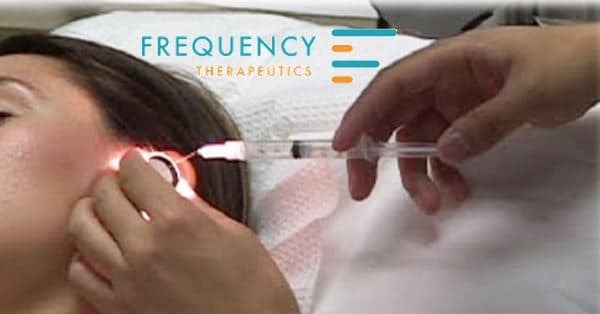 WOBURN, MASSACHUSSETTS – Biotech startup, Frequency Therapeutics, today announced positive results from a Phase 1/2 safety trial to evaluate FX-322, an investigational drug candidate designed to facilitate hearing restoration. The trial assessed the safety of a single dose of FX-322 given by intratympanic administration in adult patients with stable sensorineural hearing loss (SSHL) who had a medical history consistent with either chronic noise exposure or idiopathic sudden sensorineural hearing loss. In the Phase 1/2 study, FX-322 was reported to be “safe and well tolerated” following a single intratympanic injection with no serious adverse events. In addition, improvements in hearing function, including audiometry and word scores, were observed in multiple FX-322 treated patients. Frequency plans to present the Phase 1/2 results at a major otolaryngology meeting in 2019 and to submit the results for publication. The company believes the results of this study support the advancement of FX-322 into a multiple dose Phase 2a study, which it plans to initiate later this year. The trial was a randomized, double-blind, placebo-controlled, single-dose, multi-center study to assess the safety of FX-322 in 23 patients with stable sensorineural hearing loss. Patients received an intratympanic injection of either a high-dose or low-dose volume of FX-322 or placebo in one ear. Patients were evaluated at an initial follow up visit two weeks following injection and were monitored for three months. The trial was conducted at several leading otolaryngology clinics in San Antonio, TX. Information on the safety clinical trial can be found at clinicaltrials.gov with the ID number: NCT03616223. We are excited about this promising development. Our son is 19. He has neurosensorial hearing loss. He lost his hearing when he was 5 yo. We’d like to get more information about the trials and how a patient can qualify for it. Thanks a lot.